The Rebel God: Does Defending the Bible Mean Advocating Violence? Does Defending the Bible Mean Advocating Violence? "This is what the Lord Almighty says ... attack the Amalekites ... Do not spare them; put to death men and women, children and infants" (1 Samuel 15:2-3). "O daughter Babylon ... Blessed is the one who seizes your infants and dashes them against the rocks!" (Psalm 137:8-9). Note that these passages are not simply about God's judgment. They are commands for people to kill other people in God's name -- to kill infants in fact. How can we, as Christians, reconcile passages like these with the God revealed in Jesus who commands us to love our enemies? The two pictures could not be further apart. 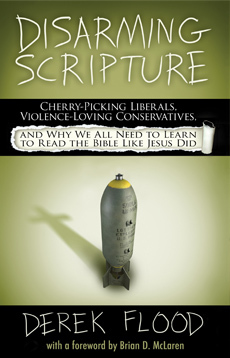 Many biblical scholars attempt to defend Scripture by downplaying or justifying the violence in some way. The 1984 Bible Knowledge Commentary, for example, argues that the genocide recorded in the battle of Jericho was justified so that Israel would not be "infected by the degenerate religion of the Canaanites," declaring that "pure faith and worship" could only be maintained "by the complete elimination of the Canaanites themselves." This argument bears a chilling similarity to those used by the Third Reich. Yet, this seems to be completely lost on the above commentator. Commenting on the Psalm above, the more recent 2008 Two Horizons commentary suggests that this prayer would be less more palatable to us if it we thought of it in more abstract terms: "The modern reader ... would be much less troubled by the simple statement that it would be good when the evil Babylonian empire came to its divinely predicted end." In other words, atrocities and violence are less disturbing when its victims are thought of in impersonal and abstract terms. Wow. It is frankly hard to imagine anything more morally abhorrent than smashing a baby's heads against rocks, or committing genocide in God's name. Such actions are simply and always categorically unjustifiable. It would be hard to conceive of something more self-evident than this. In fact, the only reason one would even think to question this is because of an a priori belief that biblical commands override conscience. When the Bible helps us challenge and deepen our moral vision and character this is surely a good thing, but when it leads us to abandon our most basic notions of morality, something has gone horribly wrong. The fact that so many biblical commentaries continue to attempt to justify the biblical genocide accounts reveals a profoundly disturbing disconnect between biblical scholarship and ethics. So what causes otherwise decent and loving people like this to defend genocide in God's name? I think the problem lies in the basic approach they take to reading the Bible, which seeks to show how it all fits together in harmony. It's not just conservative scholars either; I was taught this same approach, and I'd bet you were too. In a way, it makes sense: If the Bible is the inspired word of God, then shouldn't it have one consistent message? So we seek to read in a way that weaves all these disparate parts together and end up with a rather schizophrenic picture of God. As we can see, when applied to passages like the ones above it leads otherwise decent people to become advocates of appalling moral atrocity. And what is perhaps even more shocking, they think that in doing so they are defending God's honor by defending the Bible. 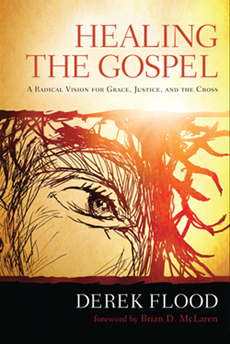 The first is the Apostle Paul's core message that the Gospel is available to both Jews and Gentiles. Now, if we read the Bible with a proof-texting approach, we would need to conclude that Paul is out of line with Jesus here whose ministry was focused on his fellow Jews. As Jesus put it when a Canaanite woman appealed to him to heal her son, "I was sent only to the lost sheep of the house of Israel" (Matthew 15:24). We do not see Jesus establishing a new religion, but rather him reforming his own. Paul in contrast breaks with Jewish law in order to open up the Gospel to all people, going beyond the boundaries of religion. So there seems to be a conflict here that many scholars have noted. However, if we look at the teachings of Jesus we can also see a trajectory he sets away from nationalistic and racial boundaries. He expands the definition of "family" to include "everyone who does the will of God" as his true "brothers" (Luke 8:21). Here he is redrawing familiar boundaries of solidarity to go beyond family, tribe or nation. All the more, Jesus was known for siding with the sinner, the outcast, the marginalized, the least. Perhaps the most striking example is his well known command to "love your enemy" which completely shatters all categories of "us vs. them" thinking. Looking at this trajectory Jesus sets up, we can see that Paul, in expanding the Gospel beyond the confines of his own religion is in fact following Jesus in that same trajectory. He is taking it farther than Jesus did, but in doing so he is following in the trajectory Jesus set. Based purely on building proof-text evidence of what Jesus taught, there is insufficient grounds for Paul to declare that followers of Jesus no longer need to be circumcised or to follow the food laws of Moses. What Paul is doing, however, is not following the letter, but the spirit of what Jesus taught. This allows him to run with it, and to take it to places beyond where Jesus did, following in that same trajectory. Next, consider the example of Martin Luther King Jr. and the civil rights movement. King looked to the Bible as his inspiration. However, it would be hard to make a clear case for the abolition of slavery from a proof-texting approach to the New Testament. One can find verses that seem to support it, and others against it. Yet, Christians today take it as self-evident that slavery is wrong and even sinful. Again, what we see King doing (and all of us doing with him) is an example of following in the trajectory set by the New Testament that declares that "There is neither Jew nor Gentile, neither slave nor free, nor is there male and female, for you are all one in Christ Jesus" (Galatians 3:28). Looking at how Paul championed opening up the Gospel to all peoples, it's a safe bet that he would have cheered King in his seeking equality for all people regardless of race. Again, King was going beyond where Paul went, but he was following in the same trajectory. Returning to the violent passages mentioned at the outset of this article, it is rather clear that there has been a clear shift from the time of their writing to Jesus' command to love our enemies. There is a clear and obvious discontinuity here between these two understandings of God. What we see here is a major change in trajectory within the Bible itself that leads us away from a violent tribal conception of God, and towards a God seen in Jesus that demonstrates enemy love. If we read the Bible as a proof-text, then we will find there are passages that command violence in God's name, and those that forbid it. However, if we instead step back, taking a larger narrative view that recognizes the Bible's developing trajectories, then we do not need to try and justify or embrace these violent passages any more than we need to cling to passages that advocate slavery (or food laws for that matter). Rather, we look to identify the upwards trajectory away from violence, oppression and dehumanization that the biblical record chronicles. Jesus said, "Very truly I tell you, whoever believes in me will do the works I have been doing, and they will do even greater things than these" (John 14:12). If that's true, then perhaps faithfulness to Scripture does not mean holding on to it with clenched fists and white knuckles no matter how wrong it seems. Maybe it instead means learning to make it soar by following in the trajectory it sets. Maybe it means we do not need to get stuck in the old, but can faithfully follow its trajectory into the new. I spent all last week thinking about the concept of trajectory and and the Bible. I was hoping to sit down and write something out, but you have done it for me and a much better job at that. I'm continually inspired by your posts and find myself coming back to them time and time again. So God does not mean what he said by what he has said? Why don't you just do a cut and paste job of the Bible to suit your fancy rather than put God's judgement to the test? What I certainly am challenging is the idea that the Bible "simply says what it means" and am therefore suggesting that we need to develop a more sophisticated way of reading the Bible. Because to read it in this simplistic and literalistic way is not only wrong but deeply harmful, resulting in people killing each other or harming themselves. Take for instance Jesus statement "if your eye causes you to sin the gouge it out and if your hand causes you to sin cut it off." Now from your reading of this you would apparently think that God "meant what he said." However the fact that you read this blog indicates that you have not poked out both of your eyes, and I also doubt that you typed your response with two bloody stumps from your amputated hands either. So here is an example of how you (and everyone else who is not mentally ill) recognize that not everything is intended to be taken literally (including this direct command of our Lord Jesus Christ). It would be nice if the Bible were as simple to interpret as you imply, but it just isn't. If we want to avoid committing horrible violence to ourselves and others, then we need to learn how to read the Bible in a complex way that leads towards grace rather than bloodshed. To read the Bible literalistically is to read it in a way opposed to the gospel of grace, and that is a sin. I like the concept of a diversity within the bible within the context of an overarching unity. The bible is a story with direction whose cntral story in the story of Jesus in his mission, death and resurrection. It is a story whose clmax is a new heavens and a new earth at the second advent of Jesus Christ. As you well point out it has a tragectory. There is a progress of revelation which is developing, cumulative and unfolding, Jesus of Nazareth shows us the true character of God as unconditional, others-centred, self-giving, community-forming love. I thoroughly enjoyed this blog post and your previous one on the apparently harsh sayings of Jesus and how to attempt to reconcile them contextually with that of a compassionate and caring God who is kind to the ungrateful and the wicked. Many thanks and may God richly bless you. Thanks John. I really think that what George Fox called "the Light," (that is the indwelling Spirit of Christ) is the key to properly interpreting Scripture. It is crucial not only to read the OT through the Spirit if Christ, but also to read the Gospels through that same Spirit so that we can discern grace there. Who are we to Judge the LORD GOD our heavenly Father. THERE IS NO MAN ON EARTH Above him. Whatever happened in the past & is quoted in the HOLY BIBLE is the past tense of the EARTH. We have no authority of a simple human being designed in his likeness to JUDGE OUR HEAVENLY FATHER or any decisions made by him at any time now or in the past, present or the FUTURE. IT's not our CALL, he is above anyone here & alive living on earth! Blind obedience may seem like a good idea, but when that means going against your conscience and hurting others or yourself, it is not an expression of faithfulness, it is sin. There are plenty of examples all through the Bible that show it is okay to question God. Moses, Abraham, did it (and were commended by God for it). Israel itself means "wrestles with God." And Jesus was often accused of blasphemy for questioning the law. This kind of questioning is actually an act of faithfulness to God because it unmasks how we humans have misunderstood God and turned religion into something hurtful and abusive. If we are simply blinding following abusive religious authority despite our conscience then we are in fact going against God. Fantastic piece. I'm posting a link to it on the "Hellbound?" blog today. Hellbound looks really thought provoking, can't wait to see it!